Not many men find out about a pregnancy before their wives. Tim Brummel is one of the few, and his video of the reveal has gone viral. Early this year, Tim Brummel had a vasectomy. He and his wife Rachel have three boys, and their family was complete. In July, Tim noticed behaviour in Rachel that was distinctly familiar, and he began to suspect his vasectomy had failed. Tim called his doctor, who confirmed his suspicions. The vasectomy wasn’t successful, and the office had forgotten to ring him. To confirm the pregnancy, Tim put his plumbing skills to work. He turned off the water to the toilet so it would be empty, and then he waited. Knowing pregnant women, he didn’t have to wait long before there was a sample to test. 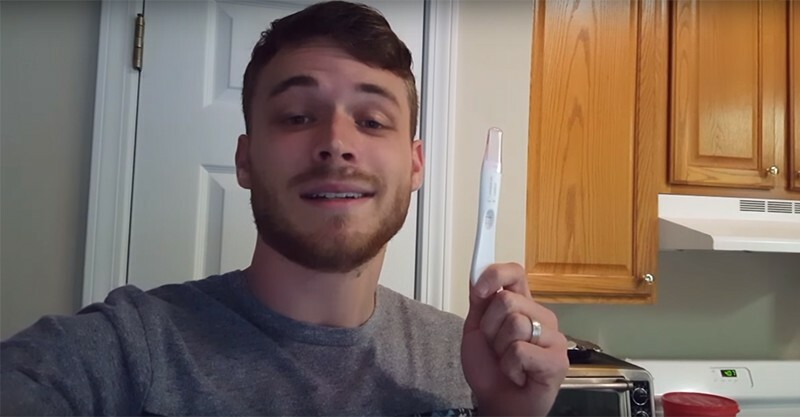 The test confirmed the pregnancy, and Tim planned his announcement. After she dries her tears and hugs her husband, Tim makes his wife a co-conspirator, hatching a plan to surprise the rest of their family. He tells Rachel they won’t tell anyone until she takes a Harmony test to find out the gender. After that, they’ll post the video online and let the internet do its work. She agrees, and the video documents the journey from that moment until they reveal the gender of the baby to their three little boys. And what are they having? Another boy, much to the disappointment of their eldest son, who desperately wanted a little sister. Rachel is due in March 2017.